The NICE diagnostics guidance on PROGENSA PCA3 assay (Hologic GenProbe) and the Prostate Health Index (PHI) (Beckman Coulter) concludes that using the tests to help determine the need for a second biopsy does not lead to improvements in the diagnosis of prostate cancer that are either large enough or consistent enough to influence current clinical diagnostic practice. This research is using advanced sequencing technologies on both urine and biopsy samples, and could make it easier for patients and their doctors to safely decide that surgery or radiation are unnecessary, reducing side effects and unnecessary treatments. A number of other commercially available panels are already in use including Prolaris, Oncotype Dx, and Decipher, though none are currently FDA approved. Biopsies, although imperfect, remain the gold standard for screening tests. The new test is not “more accurate.” It just better predicts the presence of high-grade disease compared to PSA. As of May 2015, ClinVar contained 172,055 variant submissions across 22,864 genes. More than 118,000 unique variants have clinical annotations, though 21% of those are “variant of unknown significance.” Nevertheless, this rapidly-growing resource illustrates the power of sharing clinical variant annotations in a centralized manner. A group of 29 independent international experts from 16 countries, convened by the International Agency for Research on Cancer (IARC), has assessed the cancerpreventive and adverse effects of various methods of screening for breast cancer. The debate is unlikely to be over, however. Even some of those who agree that screening does save lives say that IARC is probably overstating its case. Stephen Duffy, professor of cancer screening at Queen Mary University of London, was one of the scientists involved. He said: "This important analysis will hopefully reassure women around the world that breast screening with mammography saves lives. The evidence proves breast screening is a vital tool in increasing early diagnosis of breast cancer and therefore reducing the number of deaths." The collaboration began last year after Agenus agreed to use its 4-Antibody Retrocyte Display™ platform to discover and develop antibodies for cancer against two undisclosed Merck checkpoint inhibitor targets. The partners said today they would narrow the focus of their ongoing collaboration and go after multiple myeloma. Celgene and bluebird bio will work collaboratively on the initial, lead anti-BCMA product candidate (bb2121), with a Phase 1 clinical trial expected to begin enrollment in early 2016, and develop next-generation anti-BCMA product candidates. Moderna Therapeutics has big ambitions and a bankroll to match. How a fledgling start-up became one of the most highly valued private drug firms ever. He says the denial by England's cost watchdog for Olaparib, sold as Lynparza in the U.S., has the government talking out of both sides of its mouth: saying it intends to be a global center of innovation, then refusing to recognize it when it walks through the front door. The new companies add more tenants to Soon-Shiong's crowded house of biotech ventures, sitting alongside NantiBody, a joint venture with Sorrento focused on developing checkpoint inhibitors; and NantOmics, a molecular diagnostics outfit. The UK Medicines and Healthcare Products Regulatory Agency (MHRA) has approved a second product under a new accelerated review process intended to make promising new drugs available to patients more quickly. 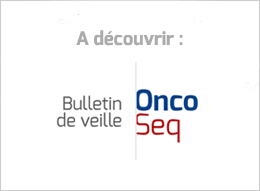 VARGATEF® was granted EU marketing authorisation in November 2014 and in combination with docetaxel is indicated for use in adult patients with locally advanced, metastatic or locally recurrent non-small cell lung cancer (NSCLC) of adenocarcinoma tumour histology, after first-line chemotherapy. Cancer survivors who participated in a fitness program exhibited improvements in physical activity, fitness and quality of life, according to findings conducted by Dana-Farber Cancer Institute researchers and others. The study was presented at this year’s American Society of Clinical Oncology (ASCO) Annual Meeting in Chicago. In the hope that you will entrust in him as forthcoming ESMO President (2018 - 2019), please find below, and in his campaign e-flyer attached under ´Related´at the end of this post, key considerations that support his candidacy and suitability, as well as a series of concrete action points should he be selected for this most important role. A cancer epidemic is sweeping through China, a country where there’s a cancer diagnosis every ten seconds. Getting cancer as a teenager or young adult can severely disrupt an important period of emotional, physical and social transition. Tailoring services to fit the particular needs of this age group can make a huge difference. A series of articles in the New England Journal of Medicine has questioned whether the conflict of interest movement has gone too far in its campaign to stop the drug industry influencing the medical profession. Here, three former senior NEJM editors respond with dismay. Precision medical company BaseHealth today released a genomic API for health , fitness, well-being and medical application use. Health application developers can also make use of some of the standard information in BaseHealth’s knowledge library of evidence-based health and medical data without knowing any genetic information about an individual user. A new book, The Censor's Hand: The Misregulation of Human-Subject Research (MIT Press), doesn't see IRBs as fixable, but as an inherently flawed system.